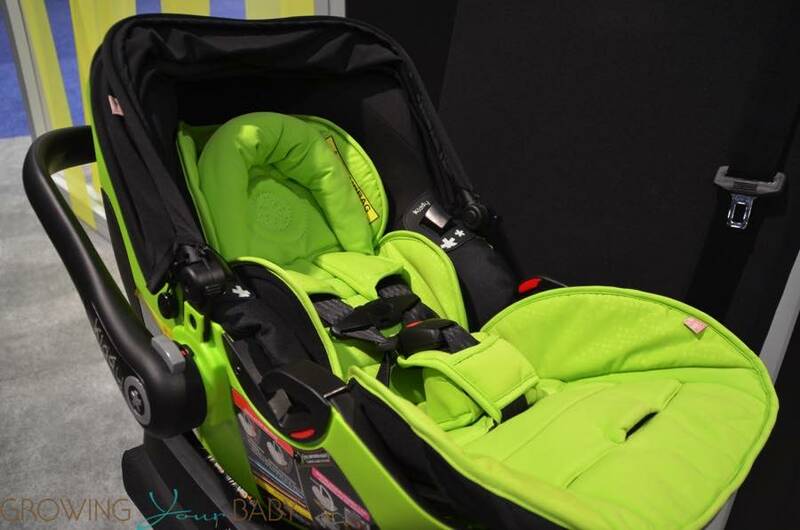 German company Gesslein introduces the safely changing unit at Kind + Jugend this past weekend. 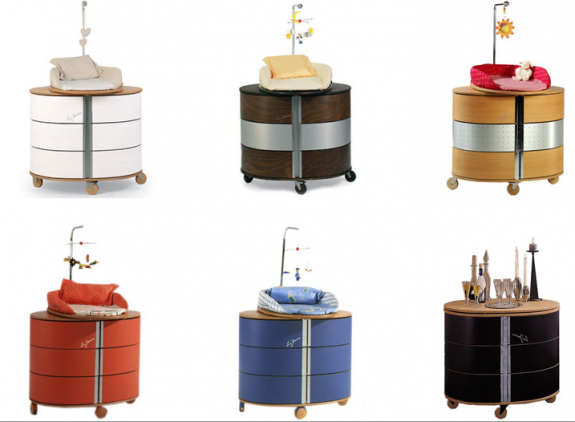 The oval shaped changing table from the “Jeannine Line” is almost completely fall-proof. The drawers which swing out by 180° are easy to open and reach, letting you keep one hand on the baby at all times. 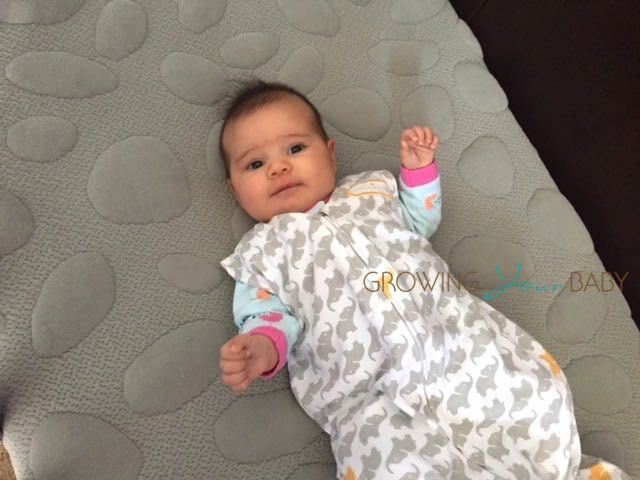 The extra high sides of the changing mat stop the baby rolling and falling off the side. The revolving plate,on which the changing mat lies, can be turned in to save space. An attachable mobile can also be purchased to help develop the baby’s motor skills and keep it occupied whilst it’s being changed. BONUS: As the pictures shows, practical parents can use the change table as a piece of furniture or liquer cabinet when their child gets older! Where can I buy this in the US?